San Juan, Puerto Rico – The draw for the 2014 South American Championship was held today, Thursday, June 5, 2014 on the offices of FIBA Americas in San Juan, Puerto Rico, under the direction of the Sports Manager of FIBA Americas, Mr. Aníbal García. The 2014 South American Championship will be played from the 24 to the 28 of July in Isla Margarita, Venezuela and will have the participation of national teams of Argentina, Brazil, Chile, Ecuador, Paraguay, Peru, Uruguay and Venezuela. You can find the itinerary of the South American Championship here. In the draw, the teams were divided into two groups that will play the first round of round -robin within the group. The top two teams from each group will qualify for a semi-final where the 1st place of Group A will play the second place of Group B and vice versa. The winners of the Semi-Finals will advance to the Finals. 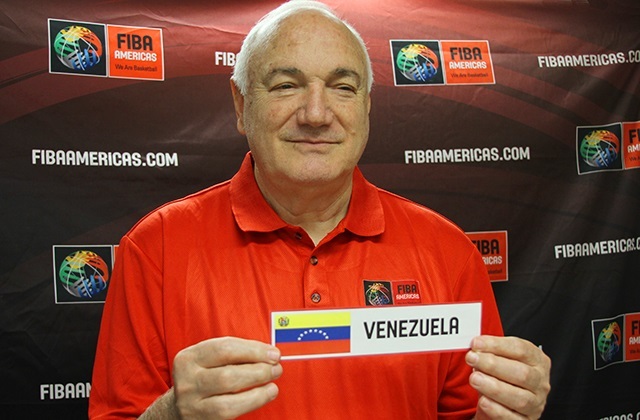 The 2014 South American Championship qualifies four teams to the 2015 FIBA Americas Championship.